Momenta concerns a PTAB decision affirming the validity of a BMS patent covering a formulation of Orencia®, a biologic used to treat rheumatoid arthritis. 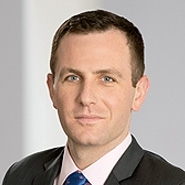 Momenta asserts that it has “invested millions” in a potential biosimilar of Orencia that has reached Phase I trials, and that it is at a “fork in the road” of its development plans as a result of the PTAB’s decision below affirming patentability. Momenta does not dispute either that it is still years away from filing a potential biosimilar product application or that the formulation of its product if and when such an application were submitted to FDA is currently unknown. Three years later, in Phigenix, Inc. v. ImmunoGen, Inc., 845 F.3d 1168 (Fed. Cir. 2017), the Federal Circuit addressed the standing of a for-profit biotech company that sought to appeal an IPR decision affirming patentability. Phigenix, relying on the Supreme Court’s decision in Cuozzo Speed Technologies, LLC v. Lee, 136 S. Ct. 2131, 2143-44 (2016), confirmed that an appellant must establish Article III standing to appeal from a PTAB final written decision. The court then held that Phigenix lacked such standing. Phigenix did not manufacture any products, but alleged that its own ’534 patent covers activities relating to the breast cancer drug Kadcyla sold under a license to ImmunoGen’s ’856 patent, which Phigenix had unsuccessfully challenged through IPR. Phigenix argued that it brought an IPR “to further its commercialization efforts with respect to its patent portfolio” after ImmunoGen’s licensee refused its offer to license the ’534 patent. Phigenix argued that it had suffered an actual economic injury because the ’856 patent increases competition between itself and ImmunoGen and takes away licensing revenue that Phigeneix would receive if the if the ’856 patent were invalidated. The Federal Circuit rejected this theory, finding that this “hypothetical licensing injury” was not substantiated by any supporting facts. The Federal Circuit also reaffirmed its holding in Consumer Watchdog that the estoppel provision preventing Phigenix from raising in future proceedings invalidity arguments that were raised or could have been raised in the IPR “does not constitute an injury in fact” when the appellant “is not engaged in any activity that would give rise to a possible infringement suit.” See 35 U.S.C. § 315(e). Momenta argues that the Federal Circuit’s Sandoz v. Amgen decision requiring a marketing application to establish injury-in-fact applies only to declaratory judgment suits. Momenta also argues that it has suffered an injury-in-fact due to the estoppel effect of 35 U.S.C. § 315(e). Although a similar argument was rejected in Phigenix, Momenta asserts that, unlike Phigenix, it is engaged in activity that would give rise to a possible future infringement suit. Momenta asks in the alternative that the Federal Circuit panel vacate the Board’s decision upholding the validity of BMS’s patent if the panel finds that the appeal is not justiciable. The Momenta decision promises to impact to what extent biosimilar makers challenge innovator patents years before filing marketing applications with FDA and before they have standing. If the Federal Circuit holds that potential future FDA applicants like Momenta have standing to appeal final IPR decisions based on evidence of early product development expenditures and the possibility of infringement liability years in the future, the trend of early IPRs will continue. At the December 5, 2017 oral argument, however, a majority of the Momenta panel appeared poised to require the filing of a biosimilar application to confer Article III standing. Although Judge Dyk expressed an inclination to find for Momenta on the basis of standing cases from outside the patent context, Judge Chen commented that that Momenta was “years away from being a true competitor,” and that the company’s alleged injury was built on a “chain of contingencies.” And Judge Newman, who may prove to be the deciding vote, focused on the fact that Momenta would be unable to bring a declaratory judgment action on the current facts. If the panel requires a biosimilar marketing application for standing on appeal, as many expect based on the court’s precedent, Momenta will confirm a “win or go home” system for biosimilar developers who wager on early IPRs. That is, under a “win or go home” system, a biosimilar developer may choose to challenge innovator patents long before filing a biosimilar marketing application, but risks an unappealable loss. If successful before the PTAB, the developer could participate in the patent owner’s appeal under Personal Audio. But if unsuccessful, the early challenger would be unable to appeal the PTAB decision affirming patentability. That risk of a non-appealable PTAB decision affirming patentability may provide an incentive for many biosimilar makers to save their patent challenges until a year and a half (the time for a final written decision) prior to submission of a marketing application so as to be able to rely on the filing of a regulatory application at the time of an appeal. 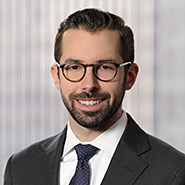 However, given the high affirmance rate of PTAB decisions at the appellate level, among other reasons, other biosimilar makers may simply take their chances with early IPRs even if a loss is non-appealable. The same may be the case of biosimilar makers that have non-infringement or invalidity arguments that cannot be raised in IPR proceedings and thus can be presented in court even after a final written decision by the PTAB upholding the challenged patent.